Is it time to throw in the towel? Is the bull market in precious metals really over? [I don’t think so because my analyses suggest]…that nearly all of the fundamental factors that have been driving the gold price higher in the past decade have only strengthened in the past two years. Now that the correction has most likely run its course, I expect gold to…bounce sharply higher. Here are 10 reasons why. The above are edited excerpts by Jason Hamlin (goldstockbull.com) in edited excerpts from his original article* entitled 12 Reasons Why Gold Will Rebound and Make New Highs in 2014. Just one day after President Barack Obama signed into law a bipartisan deal to end the government shutdown and avoid default, the U.S. debt surged a record $328 billion, the first day the government was able to borrow money. The U.S. national debt has increased by more than a trillion dollars in the past 12 months. This pushed the total debt above $17 trillion for the first time in history. As the debt increases and GDP growth slows, the debt-to-GDP ratio will continue to rise at an accelerating pace. This is simple math and it dictates an ongoing slide in the purchasing power of the dollar and rise in the purchasing power of real assets and particularly monetary metals such as gold and silver. The following charts show the steepening rise in total public debt and the debt-to-GDP ratio of the United States. Many economists view a debt-to-GDP ratio of 100% as the point of no return. It is a slippery slope that is certain to push higher at an accelerated rate in the coming years. Note that alternate calculations of the total debt including unfunded liabilities and off-balance sheet items, puts the number somewhere closer to $100 trillion or more than 5 times the official figure. This equates to a debt-to-GDP ratio of over 500%, not the 100% charted below. Takeaway: The total level of debt and the debt-to-GDP ratio have both increased substantially in the past two years. This is bullish for gold, as precious metals have a positive correlation to total debt levels. The fight over the budget and debt ceiling shut down the government for 16 days and ended up costing billions more than if the government would have remained open…It tarnished the image of U.S. financial strength and has many people worldwide questioning how the United States will continue to pay its bills. These shenanigans also led Fitch to put the U.S. on “rating watch negative” and the Chinese ratings firm, Dagong, formally downgraded its rating of the U.S. from A to A-. Both sides of the political aisle continue to engage in deficit spending and neither side seems serious about addressing the debt and deficit. Sadly, my guess is that they will never voluntarily reduce spending and will have to be forced to do so via default or other events. The more they shine a light on the fiscal weakness of the U.S., the faster other nations dump U.S. debt and the sooner we will see the inevitable ratings downgrade and debt default (official or via hyperinflation). Takeaway: The Western political system is broken and the idiots running the U.S. government severely damaged government credibility and brought the country dangerously close to a technical default. They haven’t made any serious effort to balance the budget and their “solution” only kicks the can down the road for a few more months. Look for more of the same in the near future, which will further erode the creditworthiness of the U.S. government and faith in the U.S. dollar. This increases the bullish outlook for gold. The exorbitant privilege of being able to print the world reserve currency is coming to end. “It is perhaps a good time for the befuddled world to start considering building a de-Americanized world,” said a statement by Xinhua, the state news agency of China — which holds some $1.3 trillion in Treasury bonds. “The United States will inevitably lose its reserve currency monopoly,” wrote economists Hélène Rey of the London Business School. The IMF echoed this sentiment, stating how “reserves concentration in the government debt of one country introduces idiosyncratic risks to the international monetary system. Several nations now have bi-lateral trade agreements that bypass the dollar. China has made arrangements to swap Yuan’s for for local currencies with Japan, Russia, Australia, Iceland, South Korea, Malaysia, Brazil, India and South Africa. The BRICS nations are emerging as a powerful economic force and they are intent on conducting affairs without use of the U.S. dollar. The growing rift with Saudi Arabia threatens the petrodollar. Oil-rich countries that have attempted to sell their oil in currencies other than dollars include Iraq and Libya, both bombed into submission. Iran is now trading oil for gold, bypassing the U.S. petrodollar. This is likely the real reason they are now in the crosshairs of the U.S. military. Syria is seen as a stepping stone to attacking Iran, but widespread opposition from ally countries and citizens alike stopped the recent war momentum. As the influence of the petrol-dollar continue to wane, so too will the power of the U.S. dollar as the world reserve currency. Without the ability to deficit spend and export our inflation, it will come home to roost and the dollar will suffer or even collapse as have other debt-ridden fiat currencies throughout history. The Beginning of the END for the U.S. “Petrodollar”! Takeaway: The dollar historically has an inverse relationship to gold. As the dollar continues to lose its role as world reserve currency and its purchasing power declines, the gold price will move higher. Mike Maloney and other analysts have calculated that the gold price needs to climb past $15,000 per ounce to account for all of the paper dollars that exist today. As more and more money is printed and debt is monetized, this target price [for gold] only increases. It is not only the U.S. central bank that is printing money with reckless abandon. Around the globe, central banks are trying to remain competitive in foreign trade by debasing their currency in line with the dollar. No countries are willing to admit it, but the currency war is on. As the competition heats up, they will no doubt overstep in their push to print money. This will translate into higher gold prices worldwide, measured across multiple currencies. Takeaway: The race to debase has only intensified in the past few years, as evidenced by new stimulus programs in Europe and Abenomics in Japan. Put simply, the more fiat money that is created in this currency war, the higher the price of gold and other commodities will climb. Is the First of Many Currency Crises Just Now Unfolding? Are Gold & Silver About to Take Off As a Result? Which Country Will Win the Race to Debase Its Currency the Most? Up until this point, a large portion of the new money printed since the financial crisis has been parked with the banks or as excess reserves with the FED. Banks are reluctant to lend and corporations are also hoarding cash. Individuals are consuming less, tightening their budgets amidst high unemployment and stagnant wages and paying down debt. This means that money has not been circulating throughout the economy at a very fast pace. The stimulus has disproportionately benefited banks and the wealthiest people in society, doing little for the middle class that continues to get squeezed. To get money flowing, future stimulus efforts must be focused on tax breaks or refunds for the working class, who are more likely to spend that money into the economy than the rich that aren’t living near the margin. With unemployment higher than desired and official inflation lower than desired, I think we will see Yellen and the FED focus more on consumer stimulus now that the banks finances have been shored up. This will lead to a sharp increase in the velocity of money and when multiplied by all of the money created in the last few years, it could lead to high inflation or even hyperinflation if the FED fails to soak up the excess liquidity in time. Takeaway: An increase in the inflation rate, driven by an increase in the velocity of money, will be very bullish for gold. With the rising power and influence of the East, we are seeing the centers of global finance reposition. These include the Shanghai Exchange and Pan Asian Exchange, where an increasing amount of physical gold and silver are being traded. If you believe the COMEX and London Bullion Market Association (LBMA) are helping to manipulate the prices of precious metals, it will be welcomed news to see new exchanges emerge that can provide alternative price discovery. Takeaway: The diversification of price discovery in the gold market will lessen the ability of Western powers to manipulate prices…[and] any diminishing of this manipulative ability will be very bullish for gold. [The above] are just the reported purchases. China, Russia and other nations are thought to be buying discretely via third parties. Furthermore, there is a growing movement of gold repatriation around the globe. 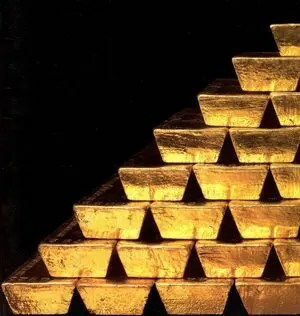 First Venezuela, now Germany, the Netherlands, Switzerland, Poland, Romania, Finland, Ecuador and others are demanding their gold back from the FED and Western financial institutions. Takeaway: Increasing demand, particularly by those taking physical delivery, will also serve to lessen the impact of manipulation in the markets. Investors are increasingly losing faith in paper gold and as the real metal is removed from the market, the lower supply will put upward pressure on prices and force exchanges to settle in cash. There have been huge outflows from COMEX and Shanghai stocks. With prices at or near the cost of production, several mining operations have been suspended or shuttered, which will further restrict supply. Mints in the U.S. and Canada have resorted to rationing supplies of their popular bullion coins, a further signs of tightening supplies. Takeaway: Economics 101 dictates that increasing demand and declining supply [of gold will] lead to higher prices. Gold: These Charts Say It All! It has been estimated that all of the gold ever refined would form a single cube 20 m (66 ft) on a side. This cube would contain around 5.5 billion ounces of gold and be worth roughly $7 trillion. By comparison, the world stock market is estimated at $50 trillion and the bond market at around $100 trillion…[As such,] it would only take a small percentage of money moving from these larger markets into the gold market to overwhelm available supply and send prices substantially higher. Takeaway: Participation in the gold market is at very low levels, estimated at around 1% to 2%. Even a small rise to 4% or 5% participation, would cause demand to spike and send prices significantly higher. Sentiment is extremely bearish at the current time and can only become more bullish from here. It is not often that a commodity will drop to a price below the cost of production. Can you think of many things that you can buy for less than it costs to produce it? At current price levels, many miners are being forced to suspend operations as their all-in sustaining cost to produce an ounce of gold makes the operation unprofitable. Even some of the best miners are just barely squeezing out quarterly earnings, propelled by increasing production and cost controls. Supply levels have already been impacted, but any further drop in the price of gold and silver will lead to additional mines shuttering operations. As these mines stop producing and supplies drop, prices will rise to reflect this change. All of the fundamental reasons to own gold and silver have only strengthened in the past two years. Against this backdrop, the sharp correction in prices over the past two years makes little sense. Whether or not the price is being surreptitiously suppressed is not the important point. so investors should welcome the manipulation and take advantage of the fire sale prices while they last. As the gold price climbs back towards its inflation-adjusted high of $2,400, Shadowstats’ target of $8,000, or Mike Maloney’s target of $15,000, we will look back at this current correction as nothing more than a bump in the road and excellent buying opportunity. 3. Is the First of Many Currency Crises Just Now Unfolding? Are Gold & Silver About to Take Off As a Result? 7. Shift From U.S. Dollar As World Reserve Currency Underway – What Will This Mean for America? I agree with your gold analysis – the $ is so weak and our debt is so high that it MUST drive gold higher. And as SeniorD says above, silver will also be going along for the ride. How much longer can the Fed and their monetary friends continue to juggle ever more paper money before the winds of change make it impossible? I’m one of those that think that Silver will do better than Gold in the next 12 months, since it is easier to acquire (cost wise) and does not have the Baggage that Gold has.